We all want the best deal out there when purchasing a product whether it be a car, new home, or surf lesson. However there is the old adage that “you get what you pay for” and there is nothing worse than buying a cheap product. Even worse is buying a dangerous product that could leave you or your loved one in harm’s way. Surf lessons that have a student to instructor ratio of 4-1 or higher are something that all surfers and consumers should be weary of because of the issues of lack of safety and oversight. The ocean is an unpredictable entity that even a seasoned waterman may have difficulty navigating at times. If an instructor is by himself with an unproportionate amount of students it will be difficult to control the situation and thus will create a dangerous learning environment. A lot of surf schools out there will claim they are the “best” or “safest” and have no real credentials to back that claim. The best they can show is a weekend CPR certification that a handful of them have obtained. These same schools also state they have small group lessons, but in reality it is not the case and they are unorganized group lessons where there are too many students per instructor. 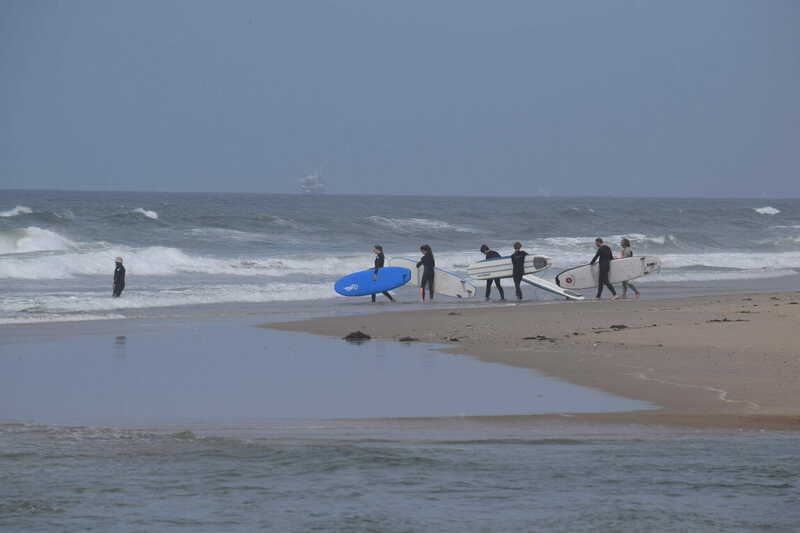 I worked for 2 of the bigger surf schools in Orange County and today I saw my biggest nightmare out in the water…1 instructor and 6 high school aged kids going out to surf. The instructor is one I have known personally and worked with for over a year and I know exactly why it was staffed the way it was…money. The owner of the surf school wanted to maximize profit while only paying 1 instructor and in doing so showed how greedy, unethical, unsafe that surf school truly is…The instructor was more than capable of teaching 1 or 2 students at a time, but not 6. In the end it is your safety out there in the water that is at stake and a price can not be put on that.